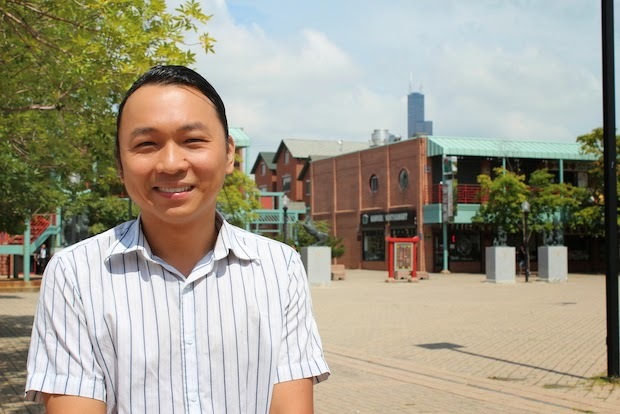 Northwest Side director's adaptation of a satirical play just might upend everything you think you know about life inside Asian-American households [...] Presented by the A-Squared Theatre Workshop, the script reading for "Ching Chong Chinaman" takes place 2 p.m. Saturday at the Chinese-American Museum of Chicago, 238 W. 23rd St. The satirical play, written by Lauren Yee, follows life inside a Chinese-American household, but the family is not what viewers might expect [...] "First off it's a comedy but I also like the idea that Lauren Yee had a very specific message that's open to interpretation. And the way I interpret the play is this idea that, as Asian-Americans, we're sort of outsiders among the Asian culture outside of the U.S. "And with second or third generations, you're sort of even more separated from that [world] culture, and so we start seeing it through the Western view," he said. Underneath all of the irreverent, hilarious misunderstandings — at one point the family hires a Chinese indentured servant — there's a strong message about cultural identity. The show is scheduled for open on Sept. 27 @ the Raven Theater in Edgewater and they are currently going through an Indiegogo campaign to help in the production (20 days left). Read more about the show and Truong.